Exam Dates for IBPS PO 2019 has been released by IBPS. The preliminary exam of IBPS PO 2019 is scheduled on 12th, 13th, 19th & 20th October 2019 and IBPS PO Mains Exam 2019 is scheduled on 30th November 2019. To ace IBPS PO 2019 Exam, it is necessary to know the Exam pattern and detailed syllabus of this exam. This will help you to prepare judiciously for IBPS PO 2019 Exam. Let’s understand the IBPS PO 2019 Syllabus and Exam Pattern one by one. IBPS released new exam pattern for IBPS PO 2018-19 Exam. The exam pattern will be similar for IBPS PO 2019 as well. There is separate sectional timing for each sections in preliminary exam. IBPS PO 2019 Exam will be conducted in three phases: Preliminary Exam, Mains Exam and Interview Process. It is mandatory for a candidate to clear each level of examination to get selected to the post of Probationary Officer in multiple Public Sector Banks. The IBPS PO preliminary examination will be conducted online and candidates are allocated total duration of 1 hour to complete the preliminary exam. It consists of 3 sections with a total of 100 questions and maximum score of 100 marks. There is negative marking in IBPS PO preliminary exam and 0.25 marks are deducted for each wrong answer attempted by a candidate. It is necessary to clear the cut-off in all 3 sections to qualify for the IBPS PO Main exam. IBPS PO Mains Exam encountered quite a number of changes last year. Let’s have a look at all these changes in detail. •	Introduction of Descriptive Paper: Just like SBI PO 2019 Exam, IBPS introduced Descriptive Paper in its Mains Examination where candidates will be judged on their written skills. An essay and a letter will be given to candidates to write that will constitute of 25 marks and that has to be completed in a time span of 30 minutes. •	The overall time allotted for each section has also been changed. •	No separate paper will be conducted for Computer Applications. Reasoning is teamed up with Computer Aptitude section and this entire section will contain 45 questions of a total of 60 marks. •	The overall time allotted for IBPS PO 2019 Mains Exam has also been changed from 140 minutes to 180 minutes. 0.25 marks will be deducted for every question attempted wrong by a candidate in both IBPS PO 2019 Preliminary Exam and IBPS PO 2019 Mains Exam. There will be no deduction of marks for a question left blank/unattempted by a candidate. The final selection of the candidate to the post of Probationary Officer will be made by taking into consideration the cumulative score of Mains Exam and the interview Process. The weightage of both these phases of examination will be in the ratio 80:20 respectively. A merit list will be generated after the Interview Process of IBPS PO 2019 Exam has been conducted. Candidates who make it to the list will be thus offered the joining letter by the Bank of their choice. IBPS PO Preliminary Exam is the primary selection round of IBPS PO 2019 Exam. Candidates who clear the preliminary exam are eligible to appear for the mains exam. The Preliminary Exam of IBPS PO 2019 comprises of three major sections: Reasoning, Quantitative Aptitude and English Language. The mains exam is the important phase of IBPS PO 2019 Exam. 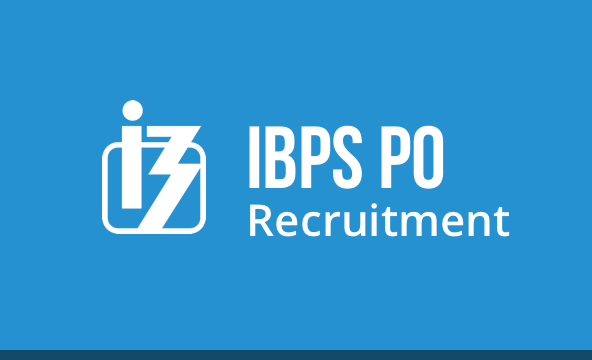 Maximum weightage is given to score obtained by candidate in IBPS PO Mains Exam in the final selection to the post of Probationary Officer. The Mains Examination of IBPS PO exam 2019 consists of 4 + 1 sections: Reasoning & Computer Aptitude, English Language, Quantitative, Aptitude & General Awareness. Just like SBI PO 2019, IBPS has introduced a descriptive paper in its mains exam for selection of candidates to the post of Probationary officer. Keeping in mind the IBPS PO 2019, we are launching various Test Series, Classroom Programs and Seminars to guide you through your preparations.